A foundational mission of Regenerative Design Group is to design landscapes that are productive, that restore ecosystem services, and that encourage ecological literacy. A common thread throughout many of our projects — and one that fits that three-pronged mission — is the creation of pollinator-friendly landscapes. Pollinators of all kinds – bats, birds, butterflies, and bees – are threatened by habitat loss. 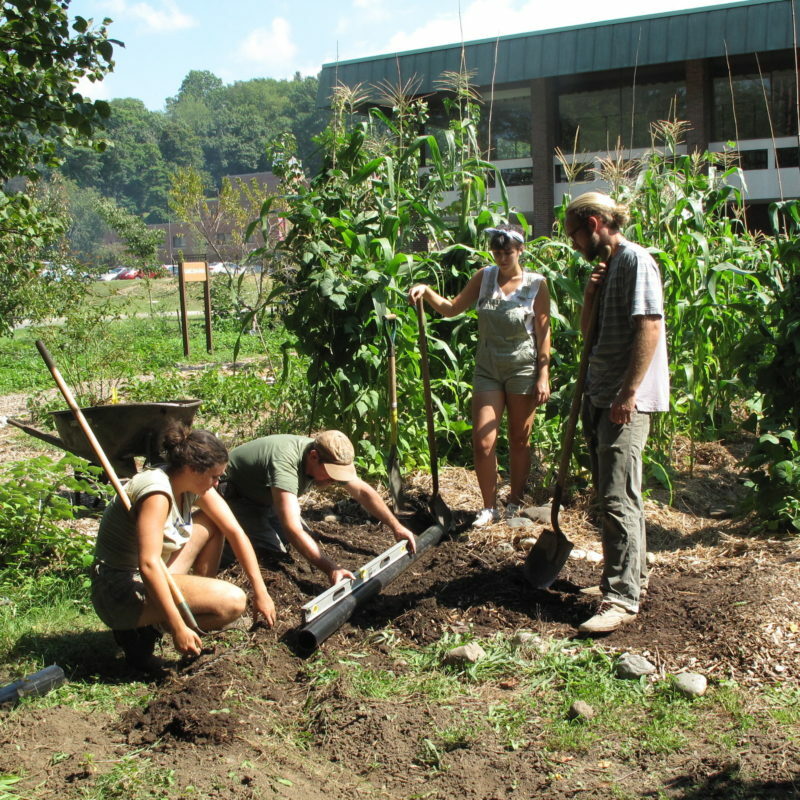 Pollinator-friendly plant palettes are components of our campus master plans, urban farm designs, agroforestry projects, residential consultancies, productive conservation strategies, and regenerative agriculture initiatives. Pollinators can be encouraged in all of our landscapes. An article published last month in the journal Biological Conservation shared the findings of how different lawn mowing frequencies in suburban yards affect bee populations. The study was led by Susannah Lerman, a research ecologist with the USDA Forest Service’s Northern Research Station and carried out just down the river in Springfield, MA! Lerman and her colleagues oversaw the mowing regimes (weekly, every two weeks, and every three weeks) of 16 residential lawns. They found that bee diversity was greatest at every three weeks, but bee numbers were greatest when a lawn was mowed every two weeks. Throughout the study, they documented 93 species of bees. When one considers the estimated 40 million acres of turf grass in the continental U.S., the potential benefits to pollinators from less frequent mowing regimes are impressive. Of course, we’re not advocating for more turf. 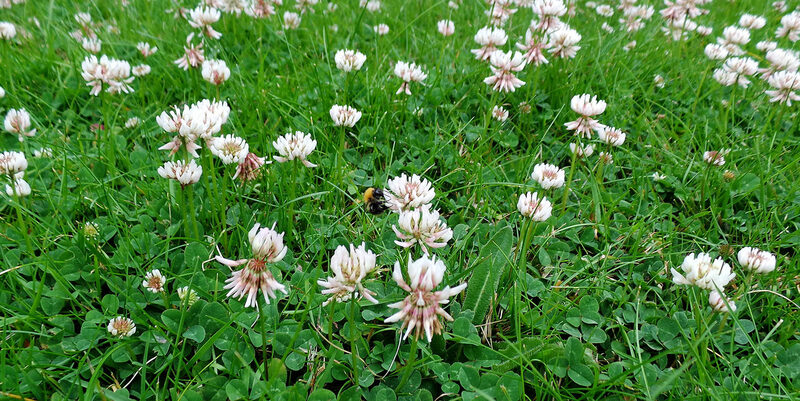 But for those who can’t imagine their homes without a lawn, less mowing (and more clover, dandelion, and bees!) is a positive step toward pollinator-friendly landscapes. previous post: SARE Partnership Grant!